Nuby Printed Sipper with Handle - 270 ml | Blue | Non-Spill. 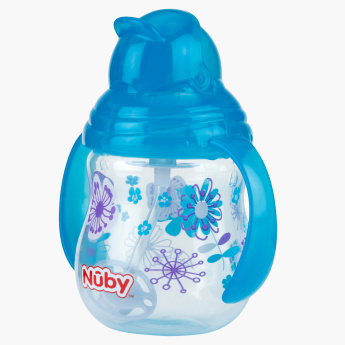 Get this sipper to make your baby's feeding process easier. The flip closure makes it easy to open and prevents spilling of liquid food.